Miigis Gonzalez, MPH, is a member of the Lac Courte Oreilles Band of Ojibwe in Northern Wisconsin. After completing her B.A. from Dartmouth College in 2007, Gonzalez returned to the Midwest to work in community and youth development in the Urban Native population in the Twin Cities. The experience and connections she made in this work influenced her transition into the Public Health field. Her role in the community required that she motivate high school aged youth to complete their education. It was clear, although education was a goal of the families and community; students were searching for wellness, spirituality, and connection to identity. In order to address community needs, Gonzalez decided to continue her education at the University of Minnesota in the Master’s in Public Health Program, Community Health Promotion. In this program, she was trained in community intervention and prevention program development, research methods, study design, evaluation and statistical analysis. 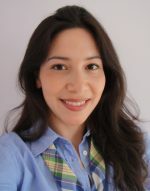 Within this program, Gonzalez developed her research interests in topics including garden and culture-based nutrition, culture-based physical activity, health disparities in American Indian (AI) populations, and increasing AI representation in Public Health careers. Gonzalez continued her education towards a PhD in order to conduct research in Native communities. Currently, she is finishing up her coursework in Social Administrative Pharmacy where she has found considerable support to explore community and cultural opportunities to decrease substance use among AI youth. Outside of the University setting, she devotes much of her time to learning the Ojibwe language, participating in ceremonies and community events, and dancing in local powwows. Gonzalez hopes to return to her reservation to develop culturally meaningful and sustainable programs to improve health and wellness in AI communities.